Fill and Tie 100 water balloons in less than 60 seconds with these sensational self-tying water balloons! 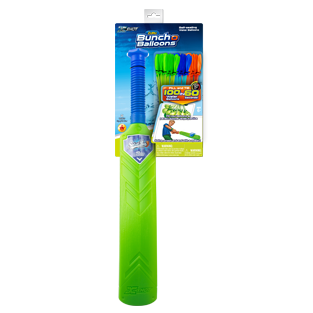 With innovative O-Ring technology and Rapid Fill capabilities, say goodbye to the stress and mess of filling individual water balloons and say hello to never ending splash out loud fun! Simply connect, fill and make hundreds of water balloons with no hand-tying. 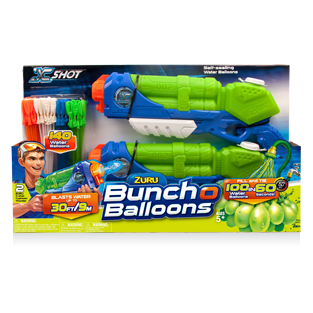 The summer season’s too short – with Bunch O Balloons you can unleash fun in no time!